Presenting to a group -- large or small -- can cause even the best of us to doubt our abilities and expertise. However, follow these simple tips and you'll be a more engaging, dynamic -- and perhaps even charismatic speaker. "Yes, you can have FUN and be professional," says Brenda Meller. Don't apologize to your audience. We don't know that you had to condense your usual 60-minute presentation into 15 minutes, or that you typically use PowerPoint slides and are speaking off the cuff. Nor do we know that you were stuck in traffic or otherwise feeling rushed. Project confidence and poise. We like to see happy, confident speakers. Speak on a topic that is related to, but not a direct part of your profession. This technique will captivate us because we feel that you are sharing your knowledge and not selling to us. 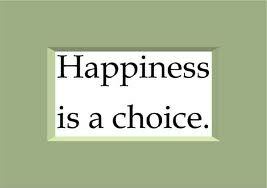 Choose a topic that is near and dear to your heart. Your passion and enthusiasm will show. Plus you'll be more likely to get referrals for other speaking gigs. Incorporate personal stories into your presentation. This helps us visualize your points, and makes your presentation more memorable. Conversational presentations are better than lectures. Bring your audience into the presentation by using names from your audience, and encouraging Q&A at the end. Remember to speak S-L-O-W-L-Y. You should strive to speak at a rate of speech that feels too slow if you were talking to someone one-on-one. It gives us time to process what you are saying. Have fun! 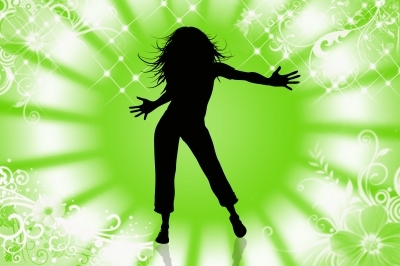 We, the audience, enjoy those speakers who look as if they are enjoying themselves. Yes, you can have fun and be professional. Handouts are helpful. Give us one sheet of paper with your key points. That way we can keep notes. Make sure you include your contact info on that sheet, including your Twitter name if you have one. Before you begin, ask a few audience members to answer a question related to your topic. this helps with #4. Using notes is okay, but please don't read your presentation. You know your stuff! Trust me, you do. If you don't know your stuff, you should rehearse it thoroughly until you do, or pick another topic. Every year, I remind myself I'm going to get better at this. I think it starts with a reminder from a friend to get my free coffee from Starbucks. And then a conversation with my husband about where we're going for dinner, and which restaurant offered me a FREE meal. And then suddenly my big day has come and gone, and I'm lucky if I remembered any places that offer me something free for my birthday. I will say that the internet has made my work so much easier. And Facebook has, too. In fact, there's a blogger by the name of Free Is My Life who blogs exclusively on stuff you can get free around metro Detroit. Yes, I've gotten about $10 worth of free stuff so far, but I've spent more than double that. So it's been a great deal for me and I've helped out our economy, too. Sure, there's a cost to give away free goods and services. But each of these businesses has gained something, too. 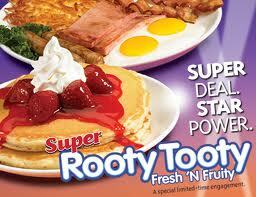 Not to mention that I have only visited IHOP once in the past 10 years, and this makes it twice. Now that I've been there again, I'm definitely going to tell all my family and friends about my meal (scrambled eggs, sausage links, bacon, and a side of pancakes topped with strawberries and whipped cream. I have a second coupon for joining their "Pancake Revolution" that will bring me back again!). 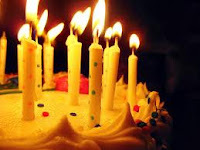 Many businesses allow you to use these deals anytime in your birthday month. My plan is to log every visit and tally up the totals. As a pretty regular Randazzo's shopper, I thought this was a great way to reward me with little effort on my part to redeem my coupon. As a marketer, I thought this technique was pure genius. Yes, they are in a way "buying" their votes in the contest. But who better to vote for your business than a frequent shopper? If I didn't shop at their store regularly, I probably would've pitched it right after seeing it. They are not giving you $5 cash for your vote. They are giving you $5 off your shopping order of $30 or more. Now for me, I tend to spend right around this amount so this is a nice little incentive for me. I buy my staples at Kroger's or sometimes Meijer's once a week. When I want a better vegetable and fruit selection -- or simply to avoid a "big" shopping trip, I go to Randazzo's. I think Randazzo's is one of the best fruit markets in metro Detroit. There are several Randazzo's within a 15 mile radius of where I live, so admit I'm partial to them because of proximity. I remember when I was younger we used to shop at Randazzo's and I loved going on trips with my mom to pick out fruits and veggies. I remember buying the little plastic containers of nuts and sweets from way back then, and how in the summer they would open up their garage-style windows to let in the fresh air. Now that I have a child, I bring my son with me to Randazzo's and he counts out the brussel sprouts as he puts them in the bag, and sometimes we buy a fruit or veggie that we've never had just to try something new. Or we'll buy a few olives from their olive bar, just because. They are not perfect by any means. My lettuce was a bit wilted from last night's trip - but it was cheap and my trip's to Randazzo's are always convenient. I'll let that lettuce slide because they make up for it over time. Last week, for example, I visited the Randazzo's at Metro Parkway and Garfield and they have a complete ready-made, hot dinner counter there (reminds me of Boston Market, but the Randazzo's buffet is much better IMO). I picked up eggplant parmigiana for me, chicken wings and homemade mac n cheese for my son, and pork loin for my husband. Plus a side of orzo pasta salad. Best $30 on a "homemade / carryout dinner" EVER. Plus it tasted homemade (not processed) with no effort on my part aside from opening the containers at home. 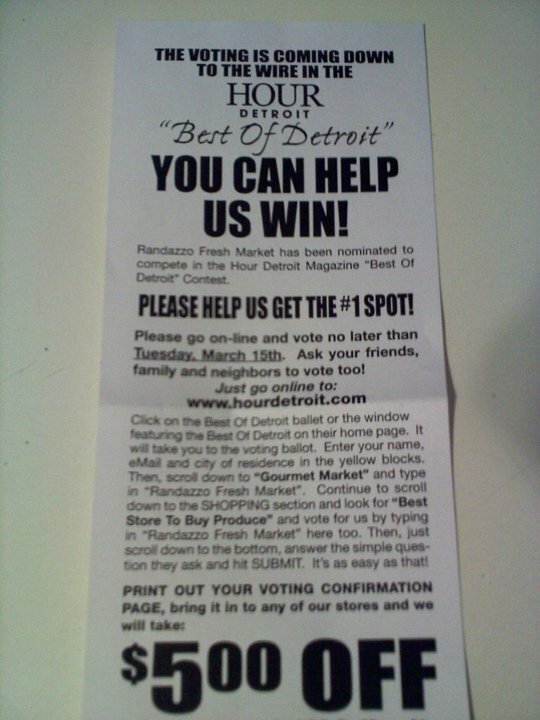 So tonight I went onto the Hour Detroit website to vote for Randazzo's and to earn my $5 coupon. Yes, it took a few minutes of effort and they're not listed so you have to manually type in their name on the appropriate category. But my handy flyer from Randazzo's gave me simple instructions on where to find them on the ballot, and what I should type in. 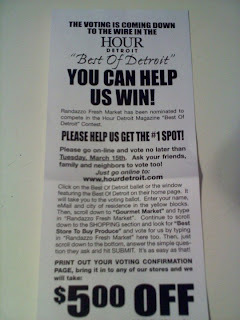 Less than 5 minutes later, I printed my confirmation page, shared a message about my vote on Facebook thanks to the Hour Detroit "share" button, and that's it. Now I've got a voting confirmation page that earns me $5 off my next shopping trip at Randazzo's. (Do I sound like a walking commercial yet?) And I'm thinking I can't wait to treat myself to some homemade eggplant parmigiana again. So yes, Randazzo's - you can buy my vote. And thank you for giving me an incentive to visit your store again soon. Think about some of your favorite products, brands, and retailers. How do they make you feel? How would you feel if they no longer existed? While visiting a few retailers over the past weekend, I noticed how differently each experience can be. And each visit led me to a decision about whether to visit there. Ever again. And blog about them (ah yes, the power of social media...). Visit #1 was to Olga's on my way home from work on Friday. I haven't been to Olga's in a really long time. And I've been an Olga's customer for years. I even worked there for a few months in high school. I love their veggie Olga's. And while I think they are a bit on the pricey side for the food you get, I was hungry and didn't want to cook. So I called in a carryout order for myself and my family. A woman answered and I told her I'd like to place an order for carryout. She put me on hold. I waited. And waited. And waited. An eternity later (probably 4 minutes when you are hungry), a man answered the phone and took my order. I ordered a fresh veggie olga for myself with an extra side of sauce. (I had learned a while back to specify "fresh veggie olga" otherwise they give you the oriental veggie olga with way too much soy sauce). Plus a few other items for my family. He told me it would be ready in 10 - 15 minutes. I'm nearly in their parking lot by this point because I had been on hold so long. While I'm waiting, I notice that there seem to be more staff members in the restaurant than patrons. Odd considering my hold time. When I get home, I open my dinner and dive in, starving! But lo and behold, my veggie olga is not what my veggie olga used to be. It is now covered in some salty flavoring that reminded me of a curry powder or something similar. And there is some unidentified salty paste (pesto?) on the bottom under the salty veggies. It was pretty awful considering I had my tastebuds set on the fresh veggie olga with the sliced almonds. I checked my receipt and yes, it does read "fresh veggie olga." I poked around and ate a few veggies that were salvageable, scraped off the odd pastey substance and salvaged the olga bread. That's good stuff. Then I did what every web-savvy, dissatisfied customer does: I went online to the Olga's website and informed them of my disappointment in the meal. I didn't ask for a refund. I was curious what they would do and how long they would respond. A day or two later I receive an email from one of their chefs explaining that what had was "... an updated version of the Fresh Veggie with more contemporary flavors and ingredients. The addition of the hummus adds a vegan protein component as well, making the sandwich a complete vegetarian meal." Yes, the email thanked me for contacting Olga's. Yes, the individual apologized that I didn't enjoy my meal. No, he did not offer to issue a refund or refer me back to the store. The email ends with this individual stating, "Thank you for being a loyal guest of Olga's" which seemed bit wrong given the email exchange we just had. I felt like I had done something wrong by not agreeing with their menu change. I'm all for change. But if you are going to change a menu item, change the description. Or train your staff to inform customers of the recipe change. Had I been informed or asked to confirm the item with the new ingredients, I would've ordered something else or asked for a modification. What's next you ask? Well, I told my husband. And now you're reading this. I won't go back to that store and I'm not sure if I'll visit another Olga's again. I felt a bit irritated that the menu item had the exact same name although a significant change had been made to the ingredients, and that the store did not mention it to me at the time of my order. I felt even more irritated after reading the email response, which explained the menu change from their point of view but did not offer to correct the situation. My relationship with Olga's changed. I am no longer a loyal Olga's customer. You lost me. Maybe not forever, but I will unsubscribe from your emails. Olga's, I am no longer crazy about you. The next day I took my son to Cold Stone Creamery for ice cream. Ironically enough, it was the middle of a snowstorm, but I figured what better way to ban the winter thoughts than to enjoy ice cream. I used an Entertainment Book Coupon to save some cash and my son enjoyed a kid's size creation with one topping for free. And I asked the woman behind the counter if I could order a kid's size for myself, too. Sure, she replied. If you've ever been to Cold Stone Creamery, you know that when you give them a tip, the staff will sing a cute song about ice cream or something happy. On this snowy day, it looked like the woman was the only one in the store, but since she saved me a few bucks by giving me the kid's size, I gave her a $1 tip. She saw me throw it in the jar (and I warned my son that she might not sing) but she immediately saw it and called to her coworker in the back and they began singing. I thanked her and told her we didn't think she was going to sing, but she replied that her coworker has just arrived and they were happy to sing to us. And yet another pleasant surprise. Both Cold Stone Creamery and Entertainment Book showed me that they care about me. They both made me feel special. I always look forward to visiting Cold Stone because it is always a pleasant, welcoming environment. Yes, it's a bit pricier than the local dairy boy, but the staff really seem to enjoy working there. I can't help but smile when I go into the store wondering what song they will sing when I give them a tip. That combined with the big glass display showing all their wonderful ice cream flavors and clear jars of candied and nut toppings makes me feel like a kid all over again. And their sizes are called "Like It, Love It, and Gotta Have It" based on how much of their delectable creation you want. 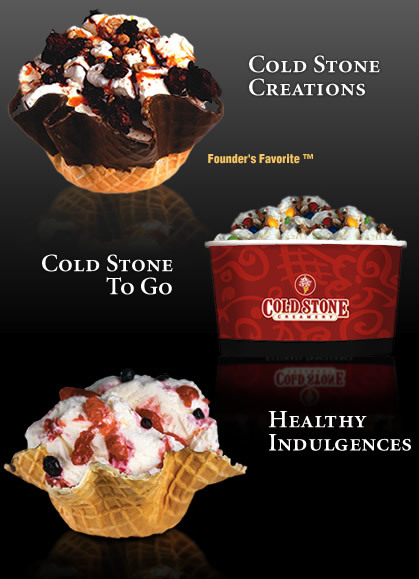 Cold Stone: I 'm positively crazy about you. And my Entertainment Book? Now that's another surprise and delight moment. Who knew they would reply to my post? Not me! And their tweet was light hearted, too - showing their positive personality as a company. The result of that interaction will make me want to mention them more in my Foursquare check-ins when I use coupons, and you can bet I'll buy another Entertainment Book again. I met their CEO once for coffee and she exemplifies true leadership and management. She even gave me a copy of a book at the end of our conversation for me to take with me. The book? 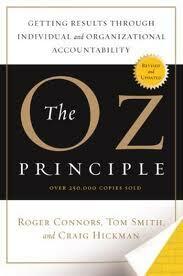 The Oz Principle. I would have to guess that a CEO who reads books like these - and shares them with others - has a very strong, positive impact on her management team and employees. And those employees in turn like their jobs. And employees that like their jobs tend to be more positive to their customers. Entertainment Book: I 'm positively crazy about you. Which Attracts You the Most? So, which story did you enjoy reading the most? I'm sure you were hoping (as I was) that my Olga's story would've ended with a free dinner certificate or offer for a refund. But my happy story about Cold Stone ice cream probably made your mouth water and made you imagine what song they sang to us that day. And my comment about the Entertainment Book probably made you think about digging yours out to check out the coupons again. 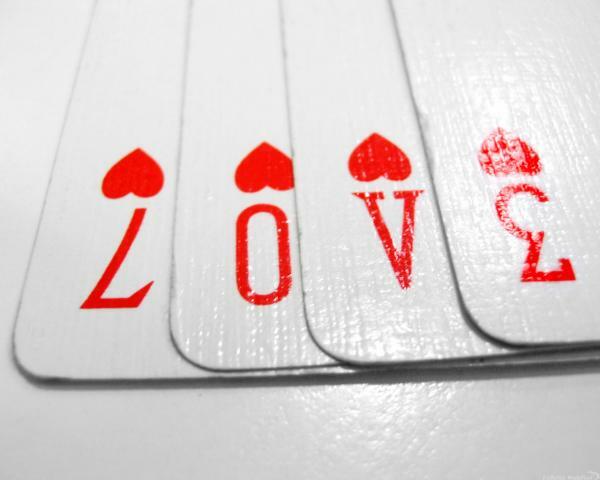 what it means for me is love. Have you shown your customers any love today? Start with the ones that are already crazy about you.